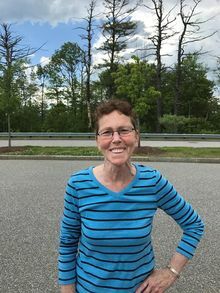 Karen A. Valenti, 62, of Manchester, succumbed to cancer on February 3, 2019 after a courageous five-year fight. Born in Boston on May 23, 1956, she was daughter of the late William and Mary (McCormick) Rosher. She enjoyed 44 years of marriage with her husband, Richard Valenti. Karen attended Boston Public schools; graduated from South Boston High and went on to attend the New Hampshire Technical College in Concord, graduating with an Associate's Degree in Nursing. Karen was a registered nurse and worked most of her career at the Mary Gale Home in Manchester caring for elderly women. She really enjoyed being a nurse and caring for the sick. Karen loved to decorate her home and was an avid doll collector. She enjoyed cooking and baking for her family. She was a warm, loving wife and mother and worked very hard to provide for her family. She supported all her children's sports activities and endeavors. She loved the outdoors and stayed fit by walking, biking, kayaking and weight lifting. Karen loved to travel and most recently enjoyed a trip to Italy with her husband, and prior to getting sick had been vacationing for a few weeks in Florida during the winter. Karen was predeceased by her parents and a sister Colleen Cunningham. Karen leaves behind her husband Richard, three sons, Kevin and his wife Moira; Richard Jr., Michael and his wife Erin. Two granddaughters, Victoria and Leila. Brothers William and wife Erlania, Kevin, Stephen, and her two sisters, Mary and Donna as well as many nieces and nephews. Karen wants to thank all the care providers, social workers and clerical staff at Norris Cotton Cancer Center, Pemi-Baker Community Hospice and the Concord Hospice House for their generosity and care. 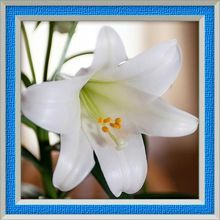 There will be a Memorial Mass of Christian Burial Thursday, February 7, 2019 at 10:00am at Saint Catherine of Siena Parish, 207 Hemlock Street, Manchester. In lieu of flowers, Karen asks that you donate to your local cancer charity in her memory. I am very sorry for your lost. She was such a hard working and compassionate nurse,it was a privilege to have worked with her at the county. She always spoke so highly of her family,she will be missed. Richard, my sincere condolences to you and your family. My heart goes out to you during this difficult time. I did not personally know your wife Karen, but one thing is certain, she was a wonderful wife and mother to you and your sons. Your friend and cousin always Marino. On behalf of my entire family please accept our sincerest condolences to you and your wonderful family. Our prayers go out to all of you, during these difficult times. Karen was always kind and full of smiles to those she met. She will be sadly missed. I am so very sorry to hear. Our thoughts and prayers are with you. I am very sorry to hear of the Passing of your Wife and Mother. Please accept my condolences to you and your Family. Rich and Family. I am sorry to hear of the passing of Ann. I pray that the Lord provide you with peace and comfort during this difficult time. She will be greatly missed by all who knew her and came in contact with her. I'm so sorry for your loss. So sorry to hear about the loss of your wife and best friend. I'm away right so unable to express my sympathies to you and your family in person. To Rick and family- I always enjoyed talking and laughing with Karen when she came to the clinic to receive her treatments. She always had a smile, and we had lots of nice conversations about traveling and good new restaurants to try! As nurses, we are not supposed to have favorites', but Karen was easily one of mine. Was so sad to hear she had passed, and please know I am thinking of you all. So sorry for your loss. I didn't know her personally but I know her son Ricky, and Dad. Always happy and with smiles. You will hold all those memories close to you and never will she be forgotten. Ricky she WILL be your Guardian Angel for sure and be close always. Love to the Family. God saw she was getting tired and a cure was not to be found. God put his arms around her whispered Come with. Me with tears in your eyes you watched her go away. You All Loved Her so dearly you could not let her stay. A Golden Heart stopped beating, Hardworking Hands at Rest God r broke your hearts to prove to you, He only takes the Best. So sorry to hear of Karen's passing. Praying for her peace and rest, and sending you love and prayers for comfort with your loss.